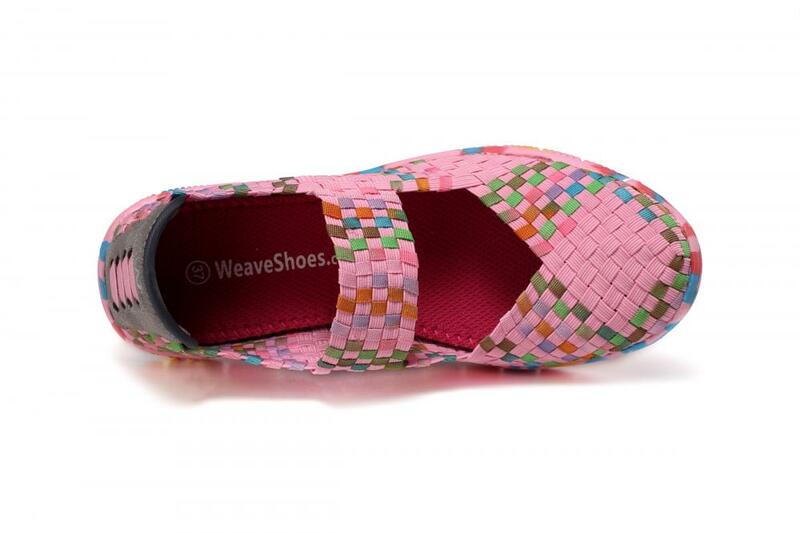 This is a pink woven dance shoes. What a lovely women's comfortable dance shoes. We use high quality elastic bands along with a woven upper that that great ventilation, improved cushioning, and lightweight. Optimal choice for all-day wear along with leisure and outdoor activities. Soft soles have a good cushioning effect. Ultra flexible anti-slip outsole with soft cushioned footbed, help reduce stress, pain, fatigue, perfect for all day wear and long time walking. We are a Chinese factory specializing in the production of Woven Shoes, dedicated to creating comfortable, lightweight and breathable shoes. And through our sophisticated level of services, we make sure you appear absolutely stylish and elegant. 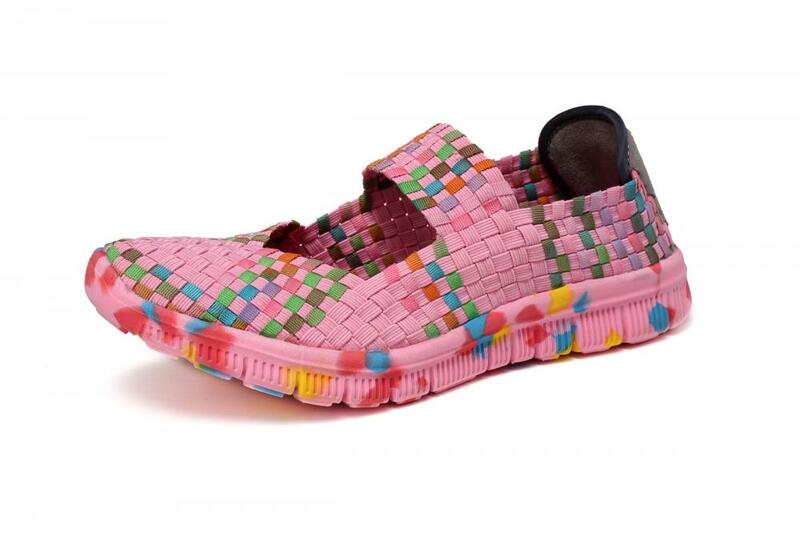 At Tata Kang Shoes Factory, we accept orders from trading companies, wholesalers and distributors from different regions, provide them with a complete product line, and present our woven shoe products on the basis of an ideal transaction. Our services are not confined to any particular area, instead, we welcome orders from all over the world to offer the best deals. Choose the best OEM or ODM cooperation. 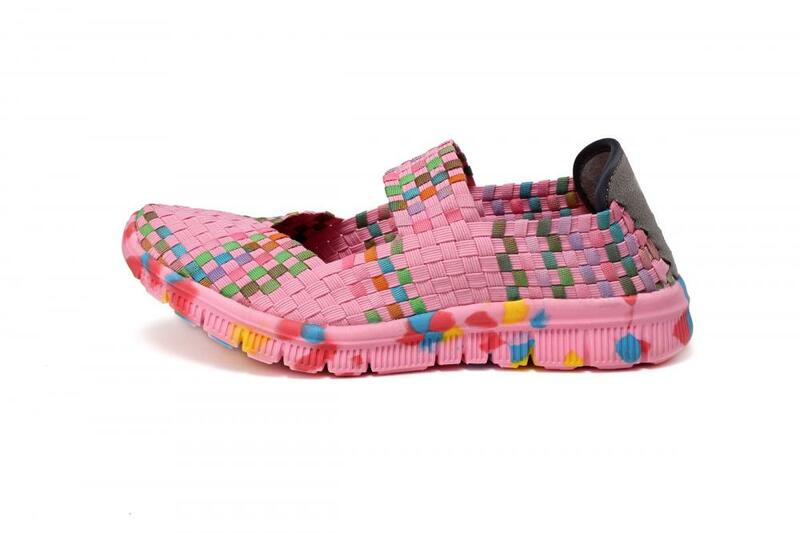 Our products come in widespread quantity and varied from Women Shoes, Mens Shoes, Kids Shoes and Couple Shoes (Lovers Shoes) with sheer comfort & quality. From most appealing Woven Sneakers, Woven Flats (Ballet flats, Mary Janes), Woven Sandals to outstandingly performing & versatile Woven Slippers, Woven Loafers (Slip-Ons), Woven Heels (Pumps), Woven Wedges and more, we have all of it available at your very own convenience. Entire of our products are ensured to be constructed with organic & natural components to ensure that health & safety perspective can be maintained. We do not believe in making unreal promises or fake commitments, rather, we prove what we claim in the pursuit of offering what we call "the best".